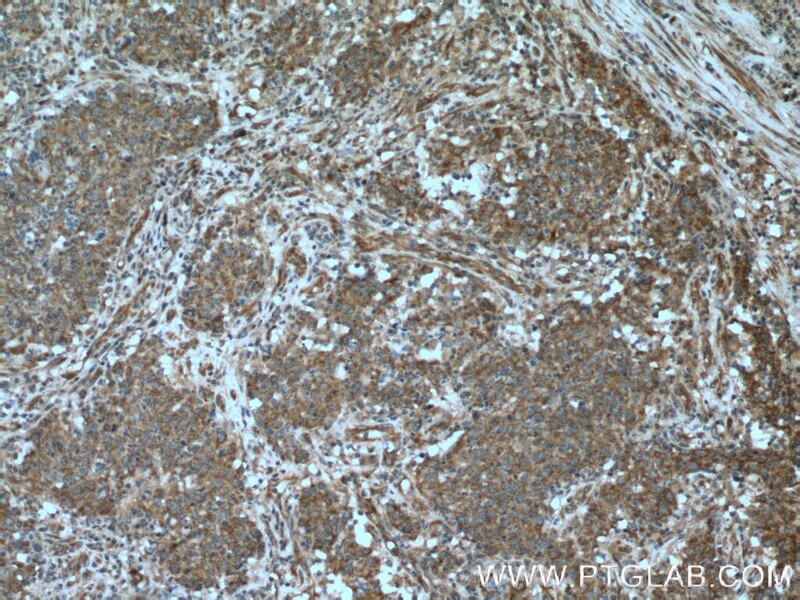 Immunohistochemical analysis of paraffin-embedded human colon cancer tissue slide using 10054-1-AP( SHC antibody at dilution of 1:200 (under 10x lens). 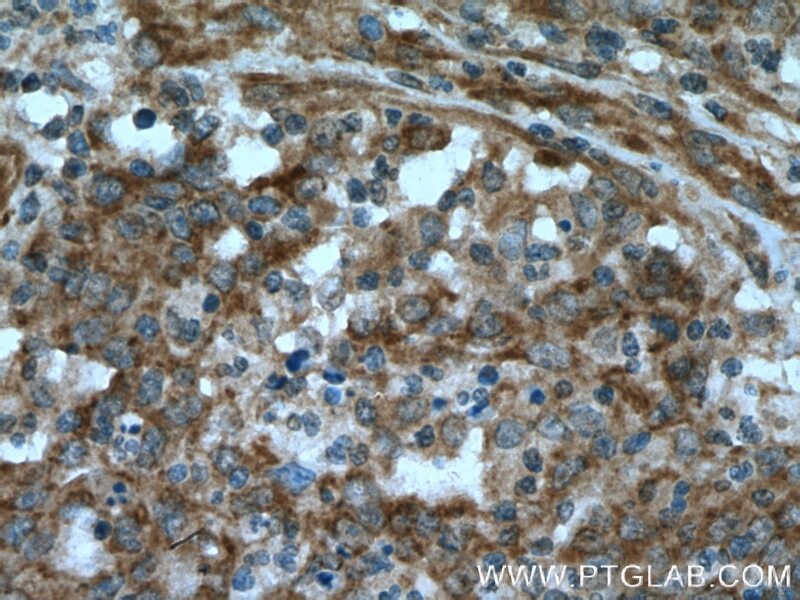 Immunohistochemical analysis of paraffin-embedded human colon cancer tissue slide using 10054-1-AP( SHC antibody at dilution of 1:200 (under 40x lens). 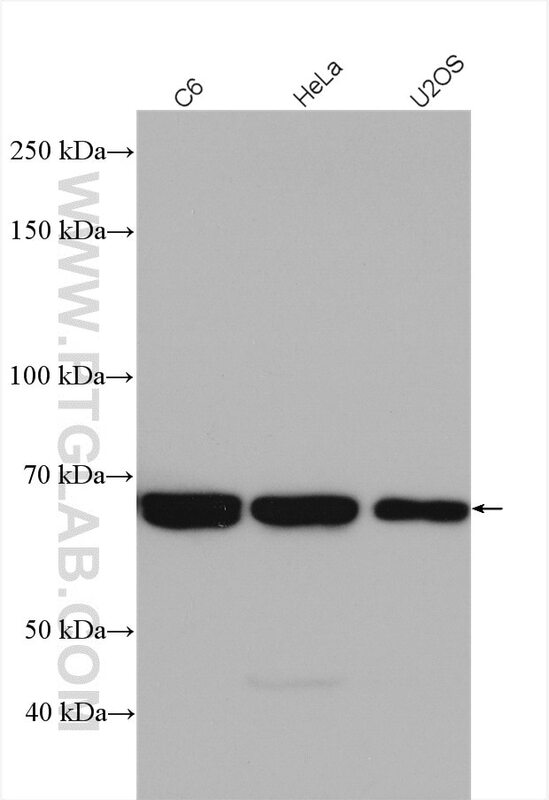 Oxidative stress induces B lymphocyte DNA damage and apoptosis by upregulating p66shc. p66Shc is associated with hydrogen peroxide-induced oxidative stress in preimplantation sheep embryos.